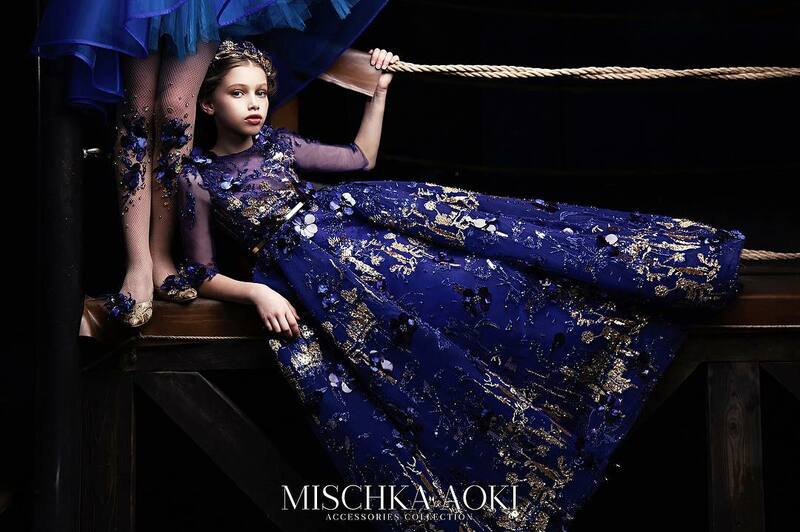 Precious softness with a romantic spirit and a witty allure. 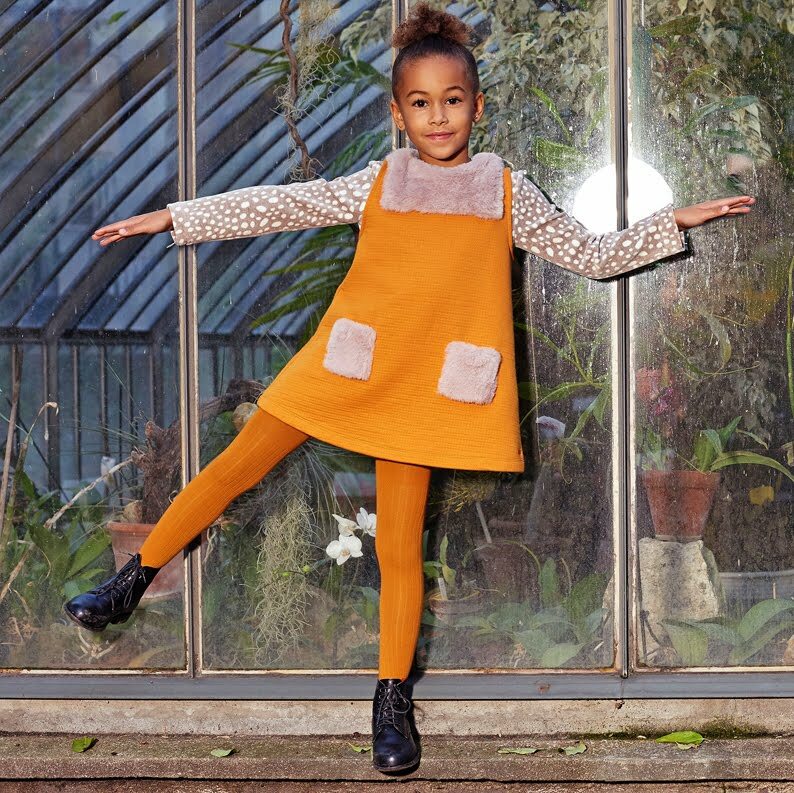 Discover Sonia Rykiel Enfant collection of warm and snug items, for a lavish but at the same time relaxed and super versatile look. 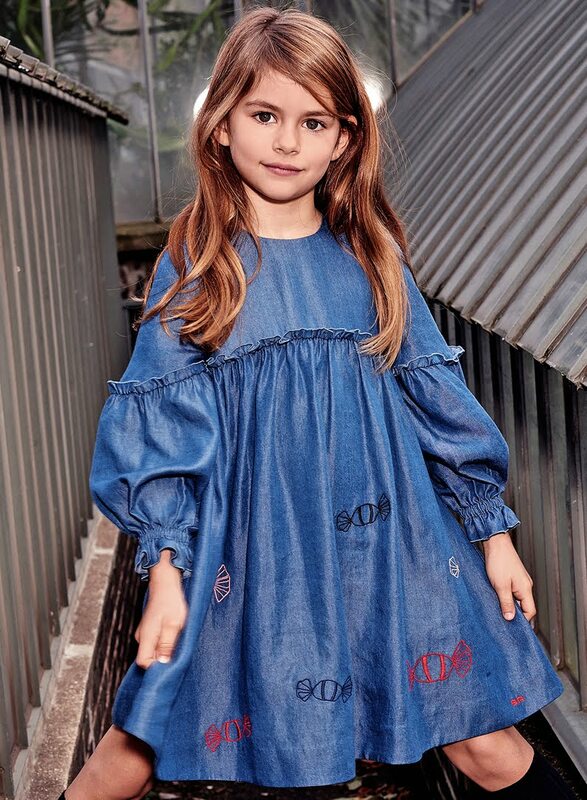 Girls gorgeous blue chambray dress by Sonia Rykiel Paris, with colourful sweets embroidered on the skirt. Made in luxuriously soft and smooth tencel, it has pretty ruffled trim and a loose, comfortable shape. Buttons on the back make for easy over-the-head dressing. Made in a soft, finely knitted wool blend, this navy blue Sonia Rykiel sweater has the seams on the outside which give it a cool, 'inside-out' appearance that is slightly see-through. 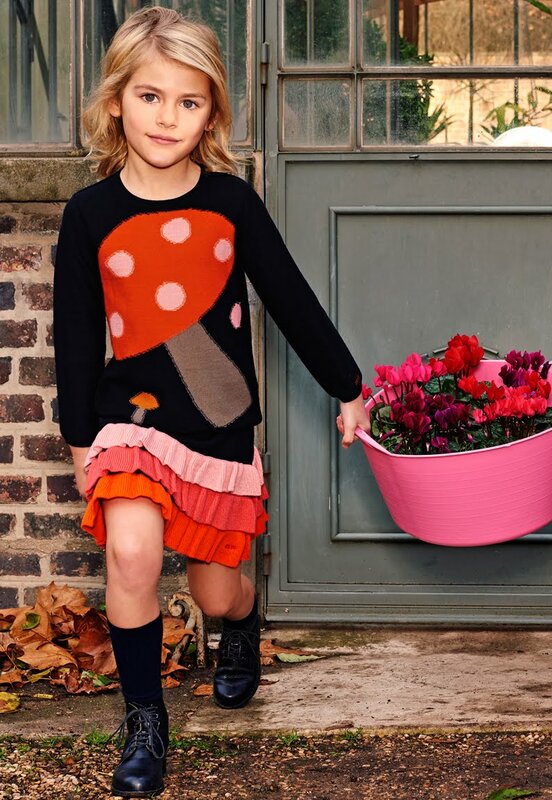 A large, colourful toadstool intarsia is on the front with the designer's logo embroidered in red on one sleeve, ideal for the brand conscious. Girls tartan skirt by Sonia Rykiel, with a gathered hem, perfect for twirling, it also has an adjustable waistband and fastens at the front with buttons. 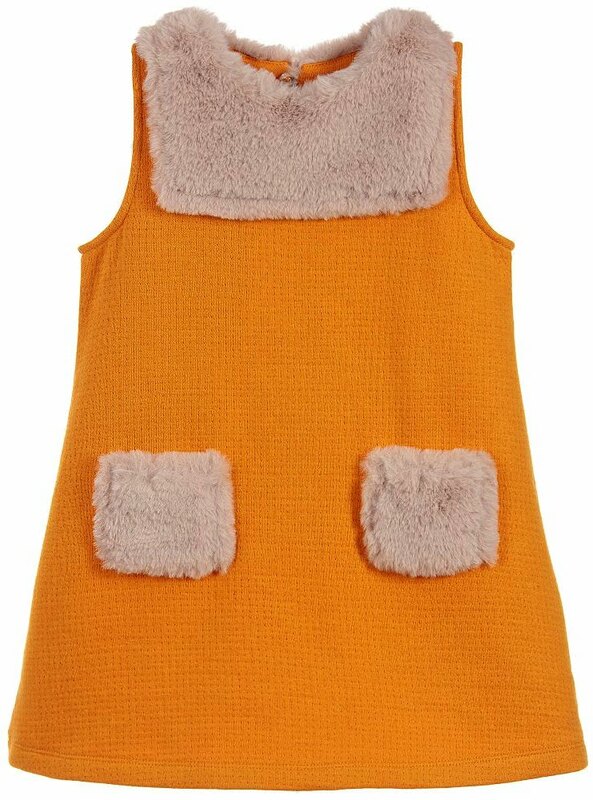 Girls elegant mustard yellow dress, with beige synthetic fur pockets and neckline from Sonia Rykiel Paris. Made in a luxuriously soft, midweight cotton jersey blend, it has a beautiful straight cut for a stylish and comfortable fit. 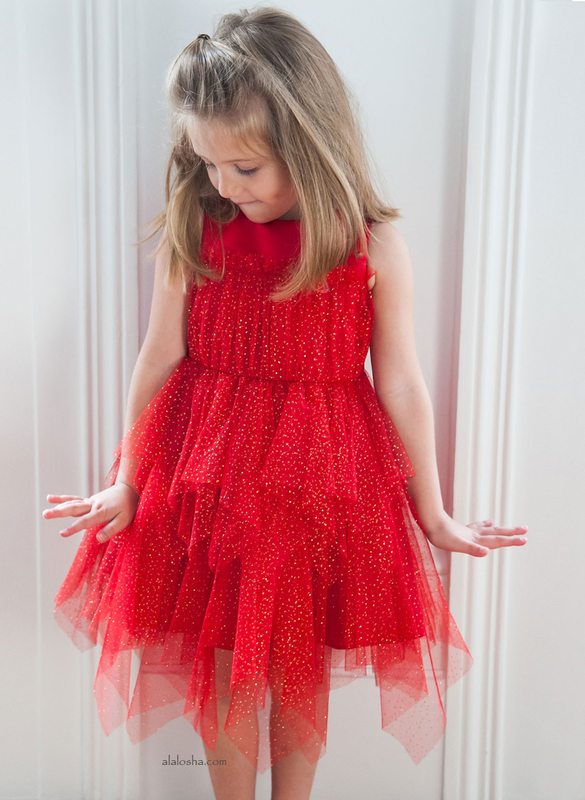 This dress could be worn as a pinafore dress with a lightweight top underneath.